New and prospective wine grape growers often do not have all of the information needed before deciding to start and grow a successful vineyard, and they find out the hard way that making poor decisions at the start can be costly and frustrating ranging from crop loss to ripping out entire vineyard blocks. 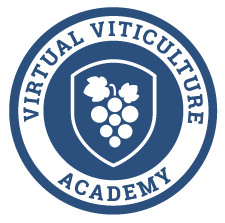 To help new and prospective growers avoid costly mistakes, I have developed a comprehensive 7 module Online Prospective Wine Grower Workshop that provides everything you need to start and grow your vineyard successfully. View all 7 modules below. Members login to view content. Not a member? Contact us at [email protected] or become a member today!